A short sleeved unisex T-Shirt with the Hibblejaybob logo and my infamous “OH S**** SON ” quote! Available in different colours and sizes! 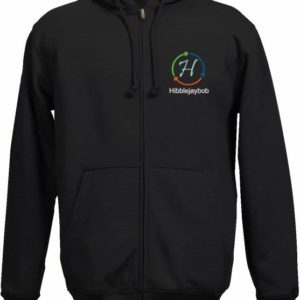 A comfortable hoodie with pockets, with the Hibblejaybob logo embroidered on the front! Available in a variety of sizes and colours! A short sleeved mens T-Shirt with the Hibblejaybob logo, from Vistaprint’s Signature Soft range! Available in different colours and sizes! 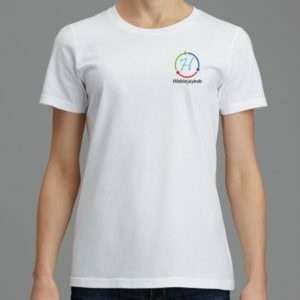 A short sleeved womens T-Shirt with the Hibblejaybob logo, from Vistaprint’s Signature Soft range! Available in different colours and sizes! 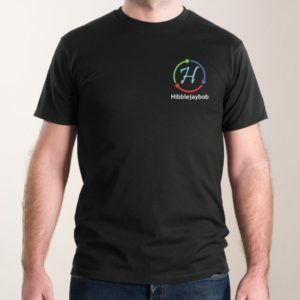 A short sleeved unisex T-Shirt with the Hibblejaybob logo. Available in different colours and sizes!